We are not just saved by grace from death, we are saved by grace for God's glory. He has remade us. 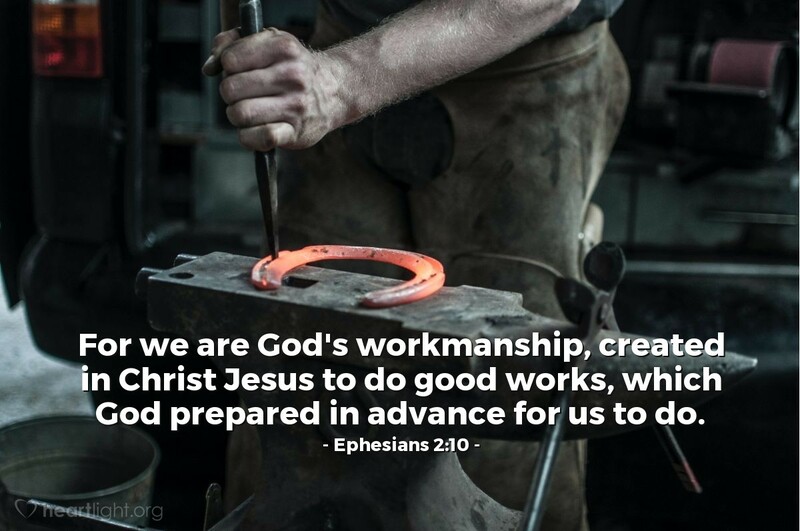 We are his craftsmanship, his artistry, and he longs to display his goodness and grace through our actions and words. O LORD, Creator and Sustainer of all things, please do your creative work in me, making me into a useful tool for your service. Please use my influence, and your abilities fashioned in me, to bless my family, my friends, and those around me that need to more fully know your grace. In Jesus' name I pray. Amen.